7 Day Writing Challenge copy | Create. Communicate. Connect. 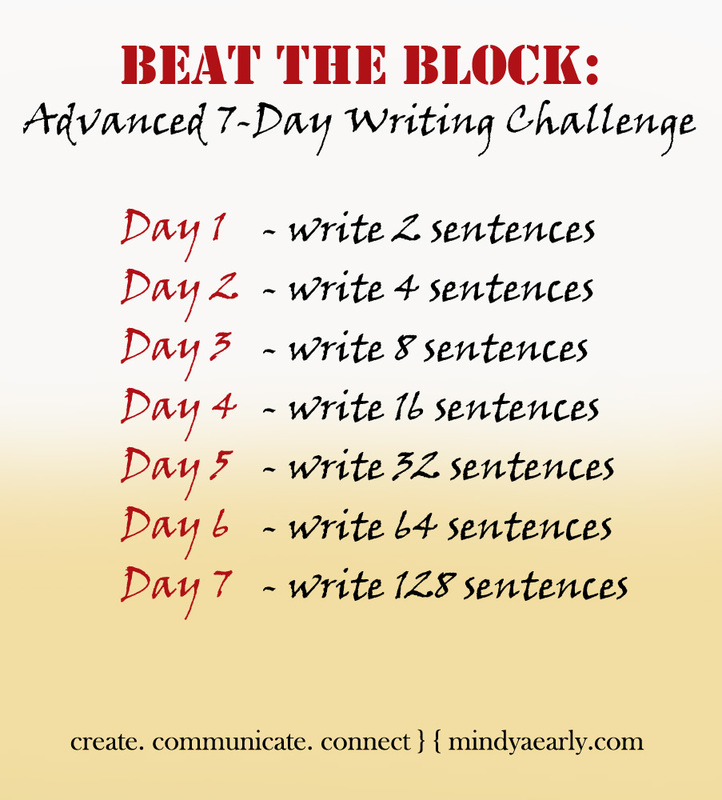 This challenge is for blocked writers who want to up the ante faster, or writers who are working on a medium-length piece of writing.